In this post, I have described an extraordinary Vashikaran Experiment to bind and captivate any man or woman under a most powerful lifelong Voodoo Vashikaran Love Spell by using a Vashikaran Doll and a special Vashikaran Yantra, which has been infused by a Mahakaal Mantra. The procedure given below has to be followed in order to successfully practice the Vashikaran Doll Yantra-Mantra Prayog. 1] The Vashikaran Remedy should be practiced on the day of Krishna Paksha Charurdashi, this is the fourteenth day of the Dark Half of the Hindu Lunar Fortnight. 2] The Yantra shown by me in the image has to be drawn on a Bhojpatra or a white piece of paper. The practitioner should use the paste of Gorochana and use a pointed wooden stick to draw the Yantra on the Bhojpatra or white paper. 3] The practitioner should write the name of the desired person, inside the ह्रीं Beej as shown in the image of the Yantra. The number of ह्रीं Beej Aksharas in the Yantra will depend upon the number of letters in the name of desired person. 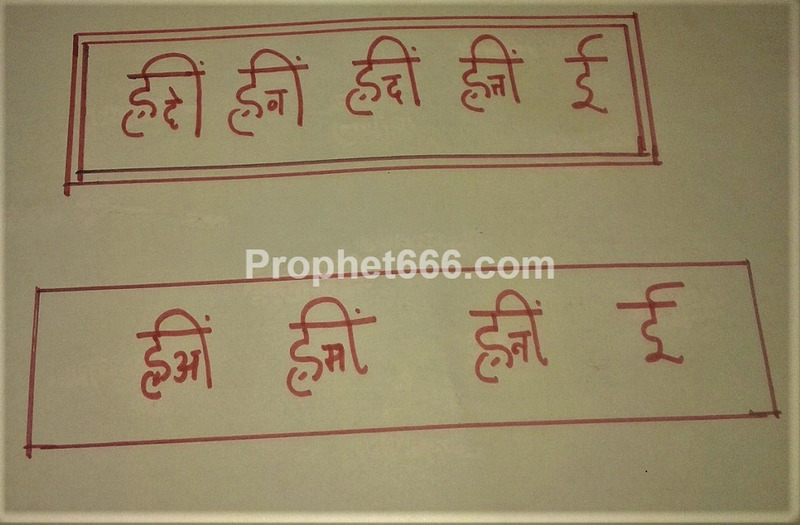 In the first image of original version of the Vashikaran Yantra, the lettersदे व द त्त which are written inside the ह्रीं Beej have to be replaced with the letters contained in the name of the desired man or woman. 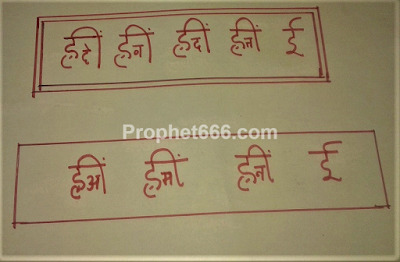 In the example Vashikaran Yantra shown in the image, the name of the desired person is - अमन which is of three letters and hence the words अ म न are inserted inside three ह्रीं Beej. If the name comprises of more letters, then, each letter should be inserted inside more ह्रीं Beej. 4] Then, the practitioner should bring home the mud from near the trunk of any tree and make an a Mud Vashikaran Doll from that mud, the Vashikaran Doll, need not be an exact replica and it can be made in the shape of a human being. 5] Then, the Vashikaran Yantra should be affixed on approximate place on the heart of the Vashikaran Putli. 6] Then, at night, the practitioner should dig a small hole beneath a Chulha, which is a traditional Mud Stove that is used for cooking. The Vashikaran Doll along with the Vashikaran Yantra affixed upon its heart should be buried inside the hole. 7] Then, the practitioner should offer cooked rice mixed with the blood of a goat, ghee and red flowers to the Agni of a Havan. 8] This should be performed 108 times and each time the practitioner offers an Ahuti or offering to the Havan, he should chant the Mantra given below. This procedure is said to make the target person come under a Teevra and Satik Vashikaran Spell and be open to all ideas and suggestions implanted in his mind by the practitioner. This is a long lasting Vashikaran Love Spell and the desired person will come under the control and management of the practitioner forever or for a very long time.